With the big game fast approaching, you’re probably looking for some quick and easy appetizers and snacks to serve to friends and family. 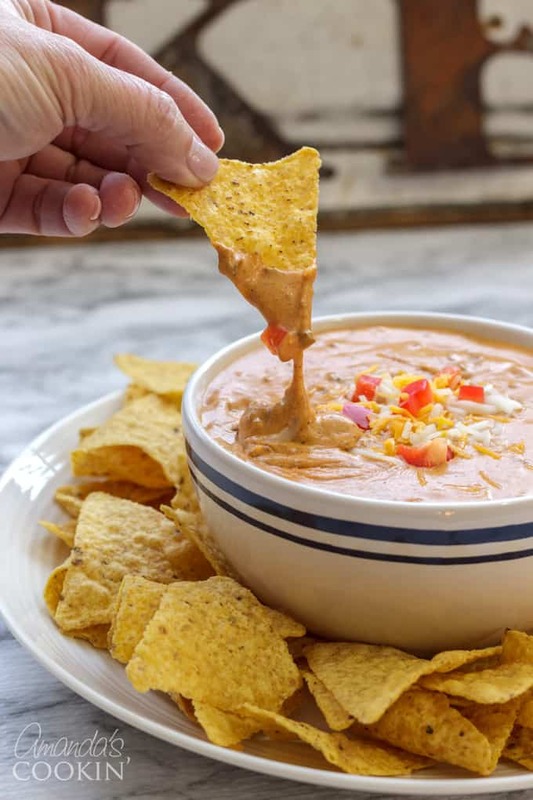 This recipe for chili cheese dip is just the thing, and you only need three ingredients and a microwave to make it happen. I found a different version of this recipe on the Hormel website, but decided to use cream cheese and shredded cheddar to make mine as I generally don’t use processed cheese blocks. The nice thing about this recipe is you can throw it together in literally minutes and serve it to guests immediately. You can also change up the flavors of cheese if you like. I used a mild cheddar, but a smoked Gouda would be good, or for a kick some shredded Pepper Jack would be just the ticket! 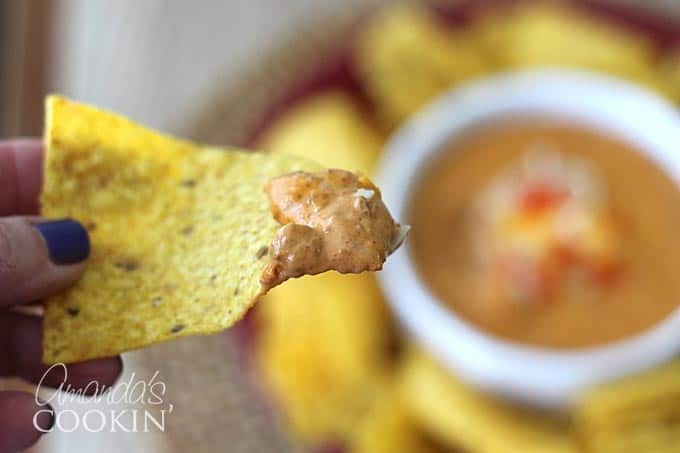 No matter what flavor cheese you choose, this chili cheese dip is super simple to throw together as your guests arrive and everyone will love it. 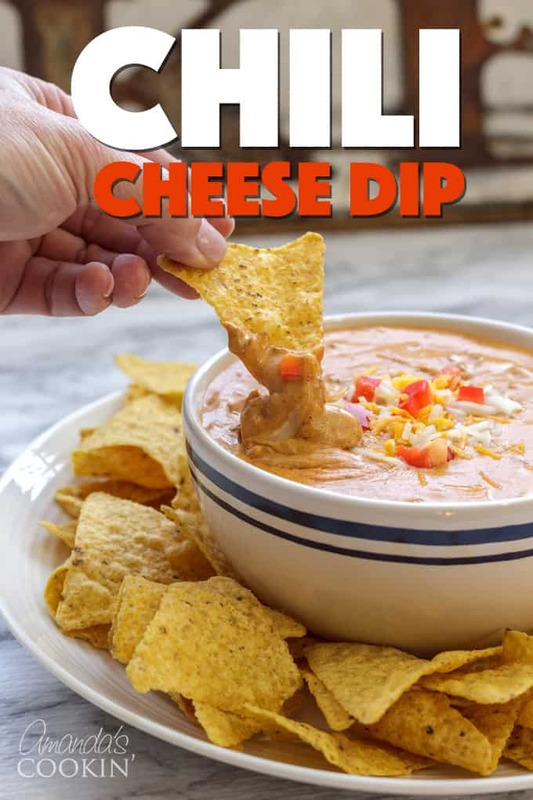 I would suggest waiting until everyone arrives before spending the few minutes to microwave the chili cheese dip. Or if you prefer, you can place the dip into a small slow cooker to keep it warm. However, this dip is so good that it probably won’t last long enough to worry about it getting cold! I used Hormel’s turkey chili without beans to make the first dip, but the second time I made it I used the turkey chili with beans. Both versions were delicious! 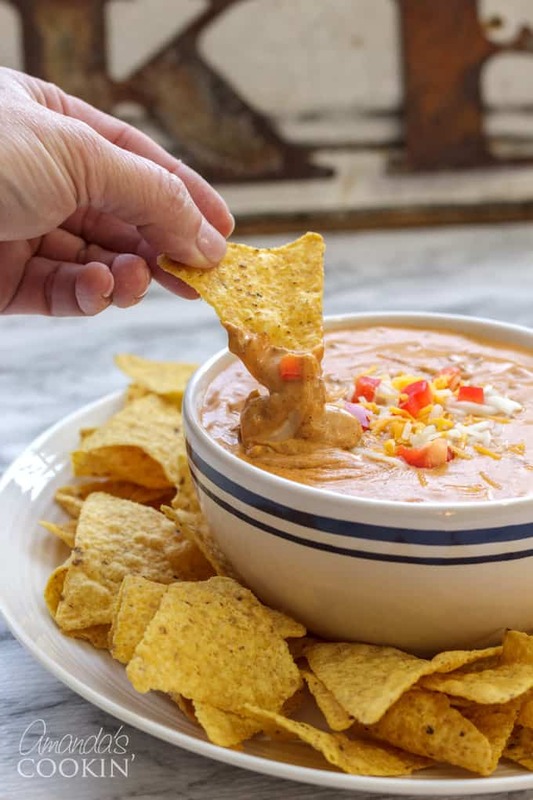 Check out more of our favorite dip recipes below. 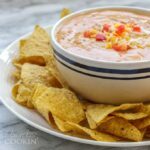 These dips are great for parties or the big game, enjoy! 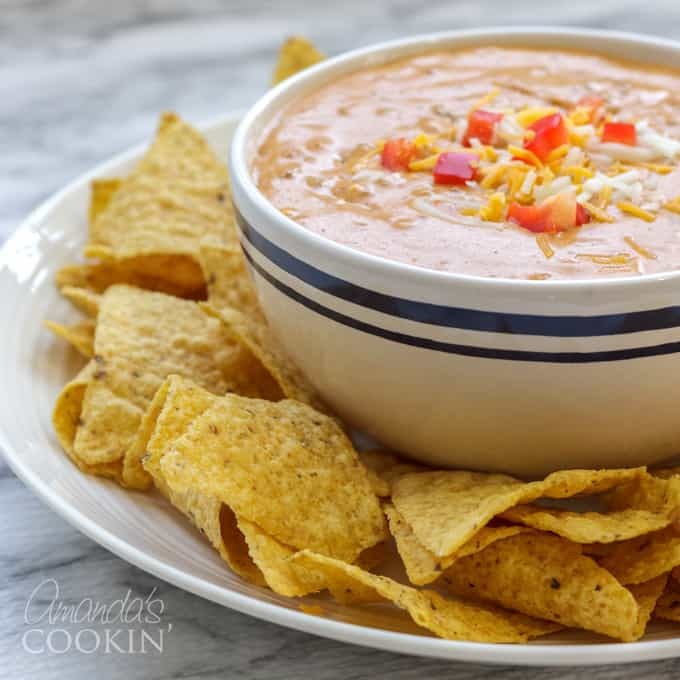 There are only 3 ingredients needed for this tasty Chili Cheese Dip, perfect for potlucks, parties and football games! Combine all ingredients in a microwave safe bowl. Microwave on high for 2-3 minutes. Stir and continue to microwave in 30 second intervals until all cheese is melted and chili is heated through. Serve warm with tortilla chips! We received Hickory Farms cheese for Christmas. Wondering how I could use up some of it, now I know. Looks delicious! I made this recipe for the dip but added a 4 ounce can of diced green chilies. Loved it! Sounds yummy, glad you enjoyed it! I just made it for New Years Eve. Yummy. Thanks, Sharleen! Glad to hear you enjoyed it. I can’t wait to make this! Do you think I can try it with herbed or garlic cream cheese for extra flavor? Thanks! This sounds sooooo good! I look forward to making it this weekend along with a very thin version of my recipe for “Crusty Buttermilk Cornbread.” I’ve posted this photo/link to this recipe on my blog (www.CornbreadMillionaire.com). In my opinion, any type of chili tastes real good with cornbread!! YUM (x100)!